When any of our favorite lasses have gone into mysterious and far-off realms, we have the great opportunity to see what sort of unusual creatures that reside in such places. It has given us a ton of great ideas for future costumes and we work tirelessly to replicate even the most non-human kinds of beasties for human design. Believe us, we’ve got some astounding alien threads for those of you seeking to have four, eight, or twelve arms. (They rarely come in any other combination, oddly!) And, for those of you who want to head back in time, we’ve got a great assortment of dinosaurs, birds, and fish… all of whom are kinda related, according to some. And, of course, we have several versions of man’s best friend, the puppy dog. But, when we got our last report from Oz, we learned that we had been completely overlooking a perfect opportunity! 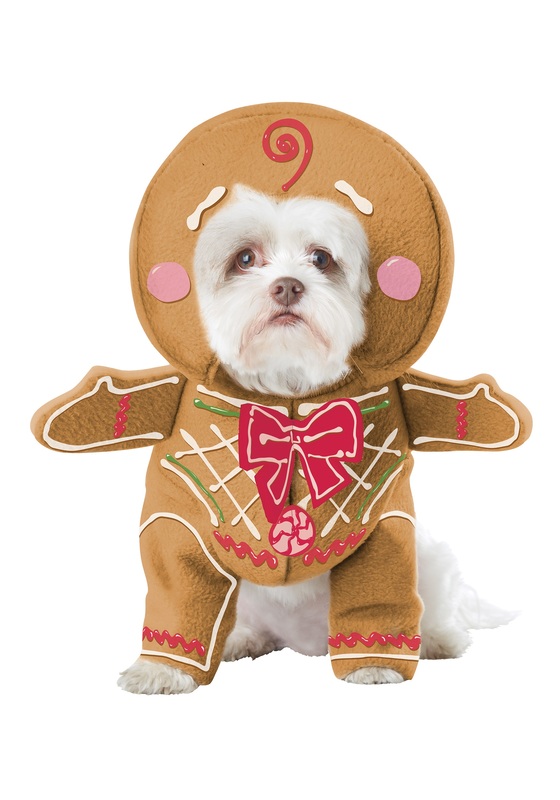 It is time to prince up your pooch with this perfect little tyke from Munchkinland, all thanks to this Gingerbread Pup Dog costume. Part of an exclusive guild of cookie-based excitement, the Gingerbread Pups spread cheer throughout Oz and zip through mysterious hidey-holes to show up wherever most needed. They are man and milk’s best friend! This polyester flannel and fiberfill hood and front drape fits comfy for smaller dog breeds and will make a festive and adorable addition to any holiday needs. Just be warned: made of gingerbread or not, your happy pupper is going to want cookies even more!